Times are tough over at PSA Peugeot Citroën. They've been burning through billions of Euros in cash over the last few years and have struggled to sell cars in the weak European economy and have stumbled abroad. But a new savior appears to be in the form of Chinese automaker Dongfeng. 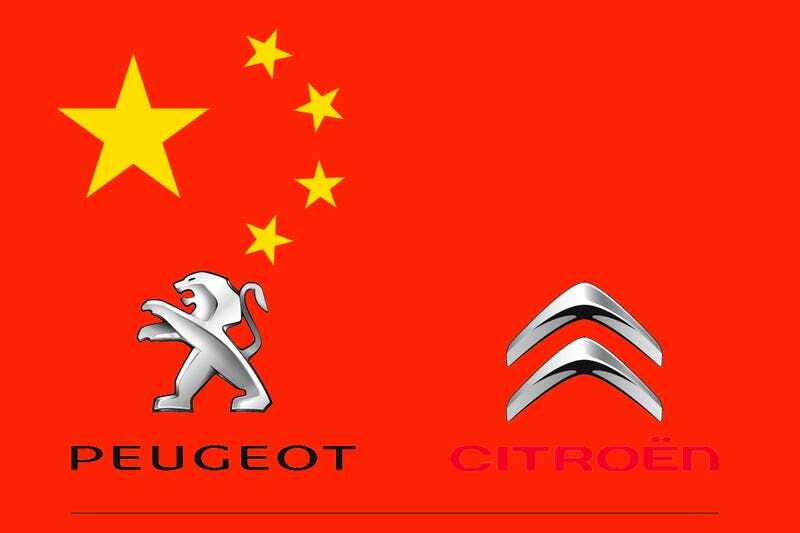 Reuters reports tonight that Dongfeng and the French government will give PSA a big infusion of cash as the Peugeot family reduces their stake in the beleaguered automaker from 25.4 percent to 14 percent. Dongfeng and the French government will each get 14 percent of the company, which amounts to a $4.1 billion infusion of cash. It's great news especially for Dongfeng, because it will help propel a relatively unknown Chinese automaker into the forefront in Europe. But it's not all sunshine and rainbows from here on out, as the The New York Times notes; this deal gives PSA cash up front but may not solve their long-term problems. While the capital injections from Dongfeng and the French government will give Peugeot a respite from its financial pressures and allow it to invest in research and development, many industry watchers have expressed skepticism about the automaker's prospects for success, noting its long history of soured international partnerships. Peugeot's primary problems, they note, are its faltering European business and its relatively high cost structure. It is not clear how bringing in a state-owned Chinese company and the French government on equal ownership terms will resolve those problems. One of those soured international partnerships is, of course, General Motors' withdrawal of their 7 percent of Peugeot that was part of a platform-sharing alliance. That propelled PSA to seek more help from Dongfeng in the first place. One analyst told the Times that if PSA needed cash so badly "there are probably better options" that to get into bed with Dongfeng. We'll see how this pans out in the long run.